Want a way to build your fabric collection? A fabric club is a great way to do just that. Join our Bella Solids Stash Club. Imagine always having beautiful Moda Bella Solids at your fingertips. 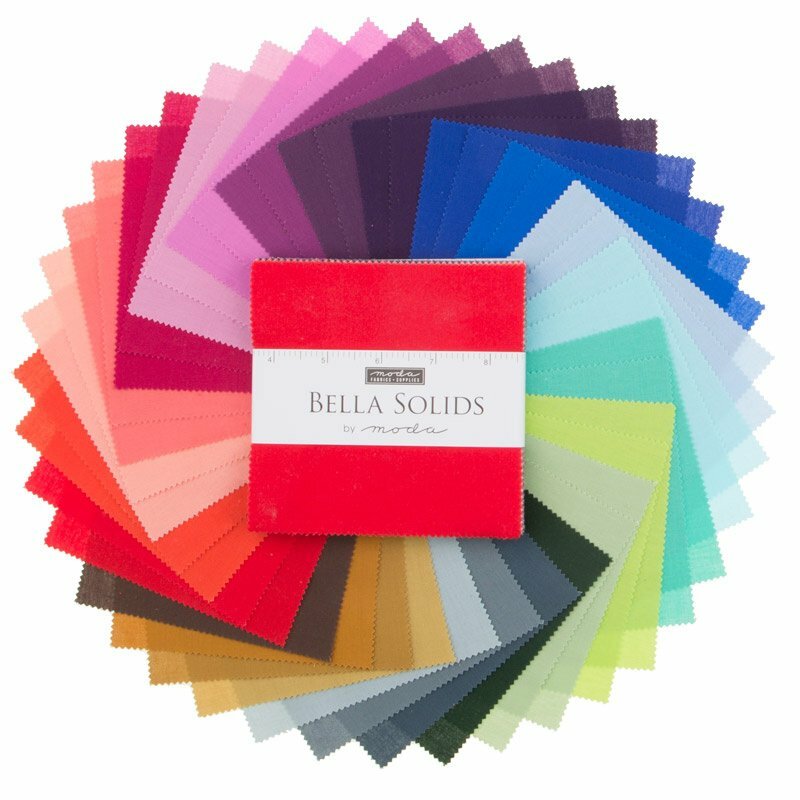 You can build your solid stash with our monthly solids club where you will receive 12 beautiful colors of Bella solids each month. Eventually we will work our way through the rainbow of Bella colors – you could have them all! You can choose from fat quarter, half yards, or yard cuts, packaged, billed and shipped if you choose ($ 7.95 shipping a month). Minimum term is three months, but you can cancel at any time after three months.